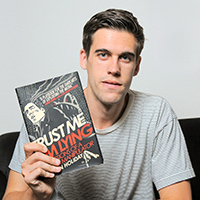 Download Episode 037 – Trust Me I’m Lying an Interview with Ryan Holiday. Our new poll will be part of a study in trust. If you want to participate in the study, please email us at contribute@social-engineer.org for more details. WE NEED HELP!! What is a media manipulator? How does one get skill at that? How can we use it as a social engineer? This is a fascinating podcast that we know you will enjoy. Find more about Ryan on his website. And check out his book: Trust Me, I’m Lying: Confessions of a Media Manipulator. Check out Spy Associates for some awesome social engineering gear. Want daily security news? Join the great guys (except for JadedSecurity) at the ISD Podcast (ISD Podcast discontinued February 2013). And don’t forget to start registering for our class in DerbyCon called Advanced Submission Techniques.